Nokia has announced a Price cut on Nokia 8 and Nokia 5 3GB RAM variant which is now available for Rs 28,999 and Rs 12499 Respectively available through offline stores. Nokia 8 features a 5.3-inch Quad HD display powered by an Octa-Core Snapdragon 835 Processor. It has a 4GB DDR4X RAM with 64GB. 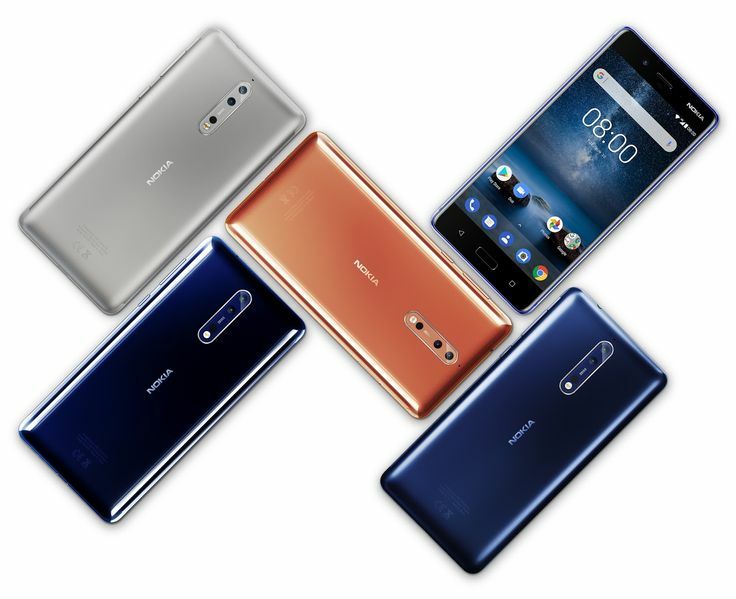 Nokia 8 features a 13 MP dual image-fusion rear camera with both color and monochrome sensors, plus a wide-angle 13 MP phase detection autofocus front camera. Both front and rear cameras are equipped with ZEISS optic.Packed with a 3090mAh battery with Qualcomm Quick Charge 3.0. It was launched for Rs 36,999. Nokia 5 3GB RAM model gets Rs 1000 price drop. Nokia 5 feature metal body It has a 5.2-inch (1280 x 720 pixels) 2.5D curved glass HD Display powered by 1.4GHz Qualcomm Snapdragon 430 processor coupled with 3GB RAM and 16GB of internal storage. on camera, it has a 13MP rear camera with dual-tone LED flash, 8MP wide-angle front camera. Dual SIM Phone runs on Android Oreo.Connectiivty options include 4G VoLTE, WiFi 802.11 b/g/n, Bluetooth 4.1, GPS, USB OTG. Packed with a 3000mAh Battery.